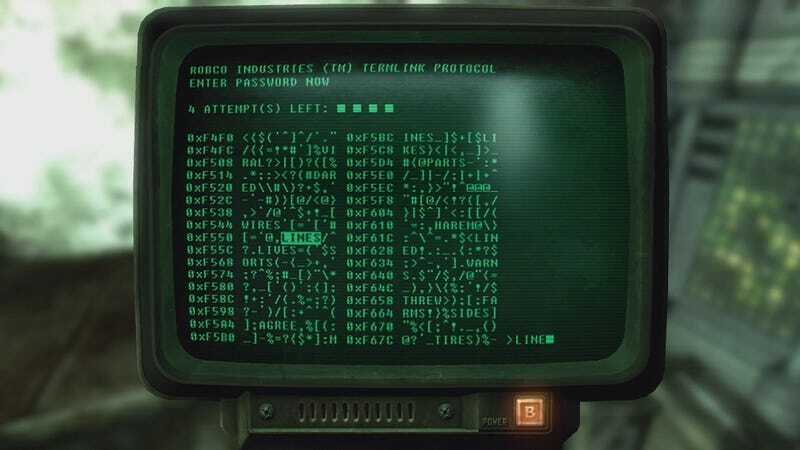 Update 1/4/2016: As pointed out by reader Dustin Nikolich, it appears the footage in question was derived from flash game based on Fallout 3's terminal hacking created by Mitchell Thompson, and which Kotaku alum Owen Good originally reported on back in 2012. The screenshot at the top of that post is from Thompson’s game and a perfect match for the portion of the text visible in the CNN clip. 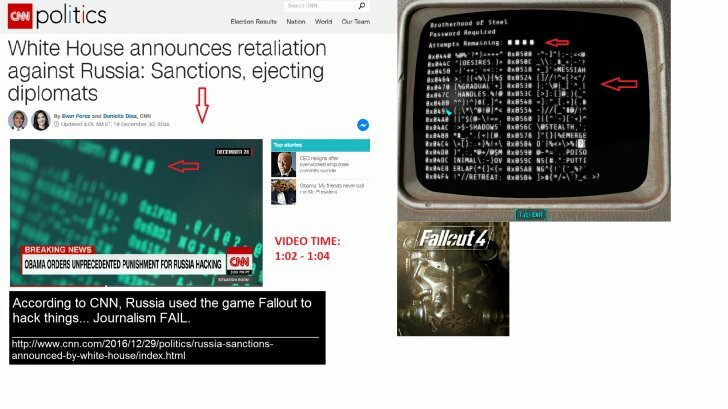 The footage in question occurs right around a minute into the video while the presenter discusses President-elect Trump’s reaction to Moscow’s alleged involvement in what the White House has called “Significant Malicious Cyber-Enabled Activities.” Because if anything indicates the severity of cyberwar and the importance of international norms against digital espionage, it’s a command prompt from one of Bethesda’s post-apocalyptic role-playing games. In that part of the video is immediately proceeded by a soundbite from Trump in which soon-to-be President of the United States said, “I think we ought to get on with our lives. I think the computers have complicated lives very greatly. The whole age of computer has made it where nobody knows exactly what’s going on.” Indeed! Of course, reporting the news is never an easy thing, especially in the age of “fake news” where any old piece of content can begin reshaping our perception of reality if it gets enough shares and retweets, regardless of its veracity. And CNN certainly isn’t the first news agency to incorporate video games into their coverage of global affairs. Several years back, a report by the BBC used the UNSC symbol from Halo while talking about the United Nations. Child soldiers from the Metal Gear games have been used in news stories about actual child soldiers. Broadcast news seems to especially struggle with what to show in the background when discussing things like computer algorithms and hacking. But that’s understandble to a degree. Computers are complex pieces of technology, so much so that they even sometimes seem like magic. Like Trump said, thanks to the age of the computer, nobody knows exactly what’s going on.